A SMART-LOOKING little bus pootles cheerily around northeast London, along a winding route between Bromley-by-Bow and Dalston Junction. 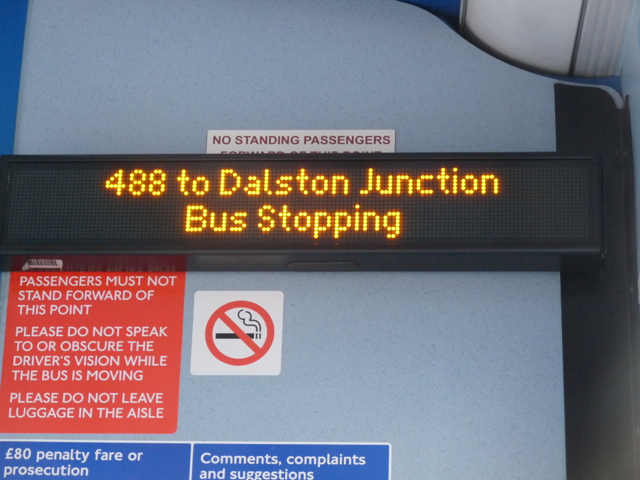 Except that the 488 does not stop at Dalston Junction but at the Kingsland Road stop just north of the overground railway station. Its next stop, D, is its last, outside Oxfam at the A10 corner of Forest Road. Having ejected remaining passengers, the single-decker then slips around the corner towards – you guessed it – Dalston Junction station (DJ). First, however, it halts 50m from the station, above. As the driver lights up a cigarette, he or she can idly watch the passengers that he dumped a few minutes earlier as they complete their 300m walk from stop D to the station’s rear entrance. Stubbing his smoke and trying not to smirk, he eases his little red bus a further few metres to what resembles a stop. But of course, nobody can disembark there because it is, more correctly, a stand, from which passengers can only alight – for the run back to Bromley, deep in the East End. 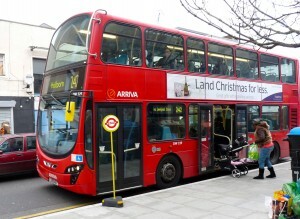 This is the bus that was intended to be one of many using a depot underneath the station – in TfL jargon, a bus-and-train “transport interchange”. So essential was this said to be that the scheme’s proponents persuaded Hackney council that a damaged but restorable Victorian theatre with a colourful history had to be demolished. Barratt the developer is happy because it has done well selling the flats it built on the theatre site and above the station. 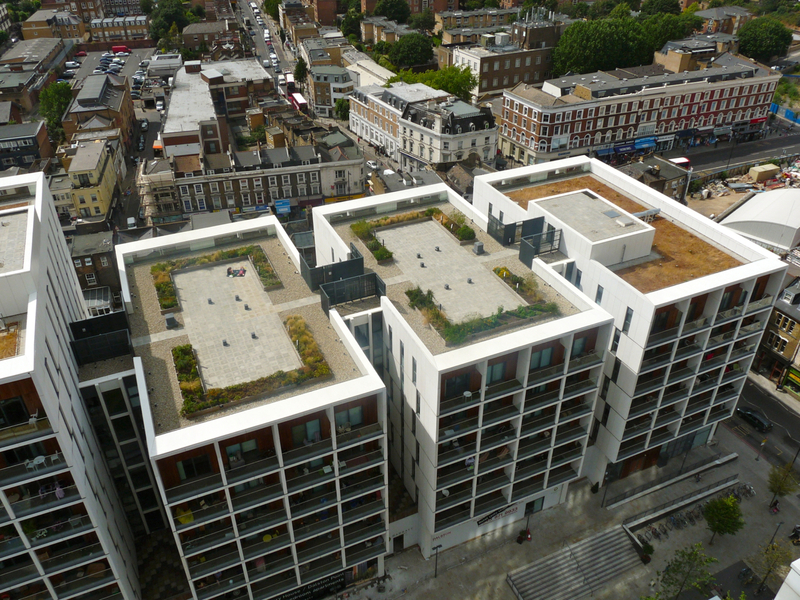 Asia-based owners of offshore-registered companies are also happy to recycle their money via zone 2 rental properties. The people with the least reason to be happy are the taxpayers. 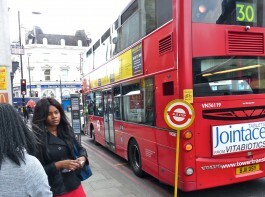 The bus depot that never really was has cost possibly £63 million, a figure TfL was given good opportunity to deny but was unable to, yet its one user does not even drop passengers there, despite what the bus’s interior indicator board indicator says, picture above right. 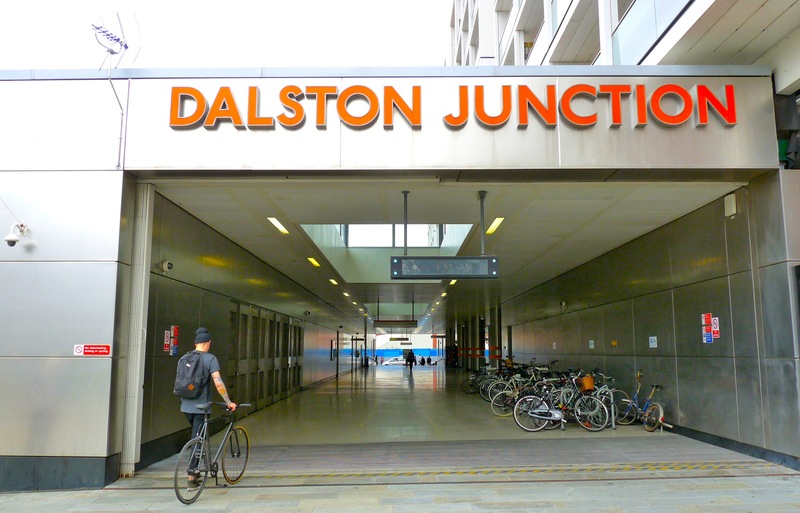 The station itself initially failed to provide storage for cyclists, until Loving Dalston pointed this out, resulting in racks being installed at stations all along the East London Line (ELL), picture at base of this article. 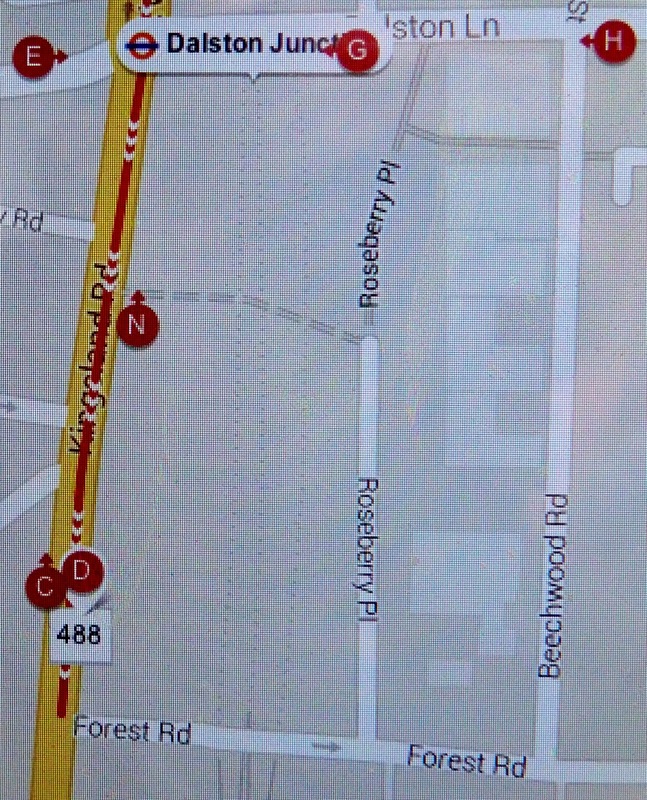 The designer of the station also missed the chance to provide an off-road cycle route between Dalston Lane, south through the main hall, and on to Forest Road, avoiding Dalston Junction, which is no safer now than it was before the TfL rejig. The intersection has become notorious for peak-period tailbacks, during which cyclists feel obliged to take to the wide pavements, annoying if not endangering pedestrians. Absurdly, the ELL does not link with Dalston Kingsland 500m north, although it passes what could easily have been made into a platform. 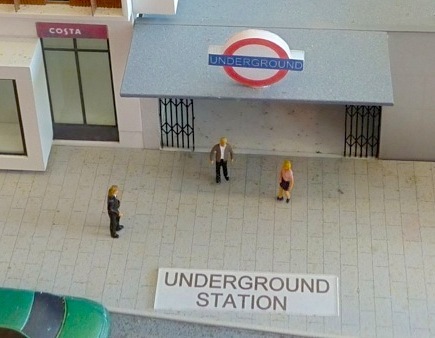 The link that was originally promised from DJ to the North London Line and on to Stratford (and at the time potentially directly to London City Airport), which helped to win support for the whole scheme, was also dropped. TfL told Loving Dalston it will never be built. Access is not easy for wheelchair users, see pavement picture above right. The computerised public-indicator boards at DJ were confusing and had to be replaced at a six-figure cost, as this site reported. The sloping slippery floor from the Dalston Lane entrance has also required safety improvements. More bills for the taxpayer. Surely you have something else to write about? This is old news that was done to death years ago. What on earth do you think could have become of that Victorian theatre? Do you know anything about the history of it re cost? It was a huge financial disaster from day one. Move on man, really. It has gone, get over it. You may be bored of this bob (no capital B?) but for those of us who lived in Dalston for years this is an incredibly important issue, along with the cost of living crisis; the housing bubble; cyclist and pedestrian safety; decent public transport; transparency regarding public funds expenditure; London heritage; and so on – all topics touched on directly or indirectly by this piece.